Total Length: Approx. 1.8 m / 70.87 ". colour black. Type: Mini USB Cable. 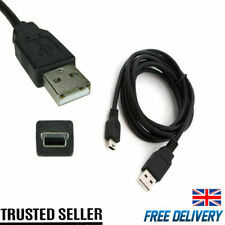 pc Mini USB Cable. MP3 / MP4 Player. Color: Black. Q1 Digital 4.0 Ir, S3Pro, S5Pro, S20 Pro, S5000, S5100, S5200 Zoom, S5500 Zoom, S6000fd, s6500fd, S7000, S9000, S9500, S9600, E900, A120, A345, A350, A400, A500, A600, A610, A700, A800, A820, A825, A900, A920, S3 Pro, S5 Pro. 1 x Charging cable. Interface: USB port. Long cable allows you to play comfortably. Cable length: about 1 m. Color: black. Here are our warehouse info. No bulky middle button required. No clumsy cradle. 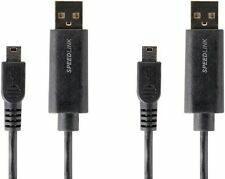 Product interface: male USB2.0, female mini USB. We will always here to solve them for you. It won't help the problem to be solved. Colour: Black. 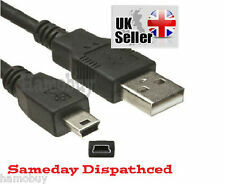 Quality USB Charging Cable for PSP PlayStation 3 PS3 Controller Charger. Condition is New. Dispatched with Royal Mail 2nd Class Letter. High quality USB Data Cable & Charging Cable. 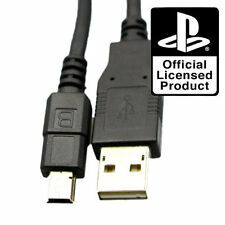 Micro USB cable. HDMI cable. RJ45 cable. Lightning cable. Type C cable. Quality products at bargain prices! Get It Free & Fast. Compact size and lightweight for your outdoor carry. The cable is flexible and not easy to break off. Pure black appearance design, dirtproof and dustproof. Well-polished surface provides comfortable hand feeling. High quality shielded cable with braided finish. Colour: Black. Suitable for use with Playstation. 1 x Charging cable. Interface: USB port. Long cable allows you to play comfortably. 1 x Charging cable. Interface: USB port. Long cable allows you to play comfortably. 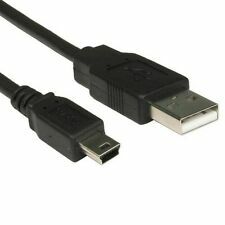 Cable length: about 1 m. Color: black. 1 x Charging cable. 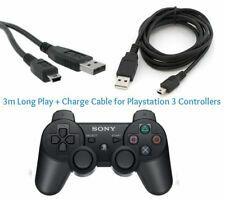 Long cable allows you to play comfortably. Cable length: about 1 m. Color: black. High quality USB Data Cable & Charging Cable.